Born in Williamsburg, Kentucky but raised in both Corbin and Lexington, James L. Wyatt graduated from Lafayette High School in 1941. Immediately thereafter, he began undergraduate studies in metallurgical engineering at the University of Kentucky. Because of the United States’ involvement in World War II, he enlisted in the Army Air Corps in 1942 and served with the 15th Air Force Squadron in the European Theatre of Operations as a P-38 photo-reconnaissance pilot. After his discharge from active duty in 1946, he returned to the University of Kentucky, completing a Bachelor of Science in Metallurgical Engineering degree in June 1947. He was a member and president of Alpha Chi Sigma professional chemistry fraternity, and Sigma Phi Epsilon social fraternity. Mr. Wyatt immediately pursued graduate studies at UK in metallurgical engineering and at the same time, taught basic metallurgy classes. He received his MSMET degree in June 1948. After graduate school, he began work for the National Lead Company, Titanium Pigment Division, Sayreville, New Jersey. Dr. Wyatt was responsible for commercial development of the “Kroll” process to manufacture titanium metal. The Kroll process involves the reduction of titanium tetrachloride with magnesium to produce titanium metal and magnesium chloride. 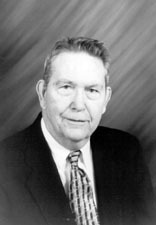 His work resulted in National Lead establishing the Titanium Metals Corporation of America, Henderson, Nevada, cooperatively with Allegheny Ludlum Steel Corporation. In 1950, Dr. Wyatt received a fellowship from National Lead Company, and enrolled at the Massachusetts Institute of Technology. There he pursued doctoral studies investigating surface-hardening of titanium metal. During this time, he was selected as a U.S. delegate to the first World Metallurgical Congress. After receiving his doctoral degree in metallurgy in 1953, he joined Horizons, Incorporated, Cleveland, Ohio, a small contract research and development company. The firm specialized in fused salt electrochemistry, concentrating in titanium, zirconium and thorium, as well as general scientific studies in a variety of technologies. Dr. Wyatt served as head of the Metallurgy Department as well as Director of New Product Development which included establishing new companies based upon in-house research projects. While at Horizons, he directed a program aimed at producing high purity thorium for testing by the Atomic Energy Commission as a possible source of nuclear bombs. Commercially, he developed a photo-sensitive aluminum product for labels, photos, etc. This development led to the establishment of the Metalphoto Corporation of America. His interest in business and commercialization led him out of the laboratory and into a management consultant position with Booz-Allen & Hamilton. Over the next four years, Dr. Wyatt consulted with more than 85 companies on both business and technical problems primarily directed at new product development, acquisitions and mergers. In 1961, Dr. Wyatt became the Vice President of Market Development for the Armour Research Foundation, Illinois Institute of Technology, Chicago. His responsibilities included the oversight of all in-house research and development projects, and management consulting functions. Over the next two years, Dr. Wyatt was instrumental in directing R&D efforts toward commercial markets, with attendant significant corporate growth. In 1963, Dr. Wyatt joined Joy Manufacturing Company, Pittsburgh, Pennsylvania, the nation’s largest manufacturer of coal mining and construction equipment. As Vice President for Corporate Development and Director of Research, he was responsible for product development, acquisitions and mergers. In 1967 he joined National Gypsum Company, Buffalo, New York, as Vice President of Market Diversification. Two years later, he became Vice President of Development, with Max Factor Company, Los Angeles. In 1970, he founded Ambassador Industries, Inc. of California. Over the next 20 years, Dr. Wyatt built the company into a significant manufacturing venture. He sold the company at the time of his retirement in 1990. Dr. Wyatt was a past member of the American Institute of Mining, Metallurgical, and Petroleum Engineers, and was listed in Who’s Who in America and Who’s Who in Engineering. He was Chairman of the Board of Trustees of the First United Methodist Church, Boca Raton, Florida, and was a past administrative officer, past executive officer and past commander of the Pompano Beach Power Squadron. Dr. Wyatt died December 14, 2010. His wife, the former Barbara Christman, passed away in 2013. They had two children.